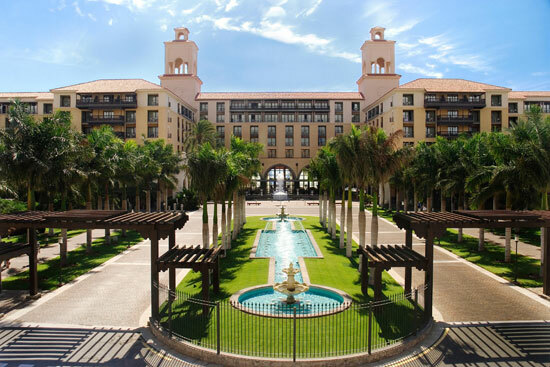 The Gran Hotel Costa Meloneras Gran Canaria is one of the most impressive resorts on the island. It’s huge!!! It is a four star hotel with 1136 rooms, a casino, and a Spa. It is located in the Meloneras area of Maspalomas, right by the lighthouse, and is worth a visit even if you’re not staying there. 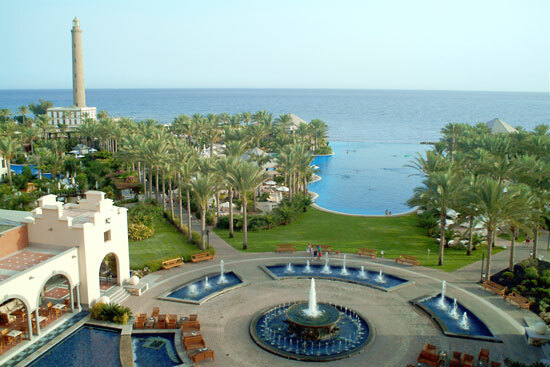 The Infinity pool is the most impressive of its pools, and also has nice gardens and plenty of space to walk around. Staff are friendly, and good entertainment is available every night. It has a great location: close to the beach, near the bus stand, and is surrounded by shops and restaurants. In the following video you can see how big this hotel is, and all the amenities it has. When designing this hotel, the architects thought about the hotel Santa Catalina in the north of Gran Canaria, and the hotel Nacional La Habana in Cuba. Have a look at the Infinity pool. In the next photo, you can see how the pool visually blends with the sea. There's quite a piece of land in between. Thumbs up for the designer! Because of the visually appealing architecture, more and more movie and TV producers are chosing this hotel to do the shooting. In 2014, the movie Wild Oats was taken here. The movie is about a lady (Shirley MacLaine) who was accidentally given a cheque of 900.000 dollars instead of 900. She didn't think twice and took her best friend for an unforgettable holiday to Gran Canaria. Other cast members in this movie were Jessica Lange, Billy Connoly, and Demi Moore. Request a room with an Infinity pool view, otherwise they may put you on the ground floor or facing other rooms. The higher the better. Taxis always available at the door, so you can use them. Nice shops located inside and around the hotel-Staff remove towels from sunbeds so that no one reserves them. This is a fantastic policy. Wifi internet connection is pricey (9€ per day) so you may consider buying a Spanish SIM card, which will only cost you 1.2-3€ per day. Parking costs 12€ so park outside the hotel. Great place to visit, have a look, sit down and have a beer, if you're staying at a different hotel. Click here to check the latest deals for this hotel.